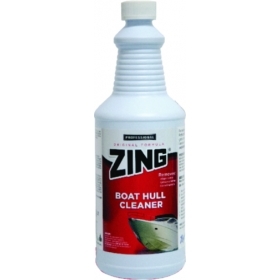 Zing Original formula is perfect for removing all hull accumulations of foreign substances. Safe for use on fiberglass painted aluminum or painted wood. Perfect cleaner for outboard motors boat bottoms or propellers. Shipped in an unbreakable plastic container with a safety valve cap. "I was looking for replacement lenses for my trailer and found them quickly and at an excellent..."
"Jerry was very helpful. Ordered on a monday and had it the next day. I like that kind of..."
"I was impressed with how fast I received my boat console. I will be using this speedy service..."
"Great service! Product was as described and arrived in 1 day! Would definitely order from these..."